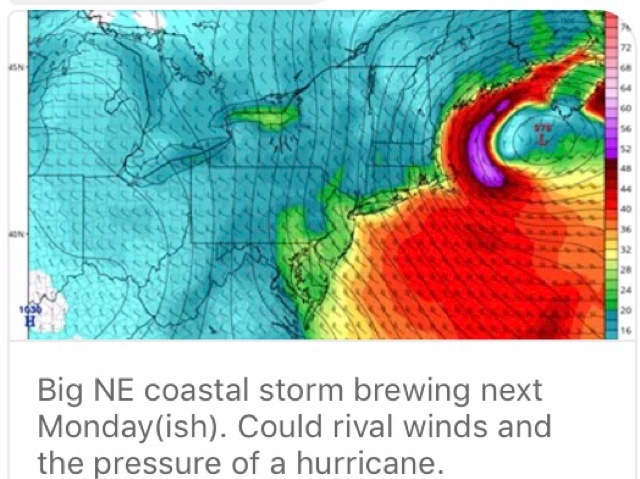 My east coast son is a meteorologist and sent me this model the other day of the storm that is forming today over New England. We often share weather information. What makes this storm more important is that my two boys and I are trying to converge on New England as this storm passes to attend a family funeral. 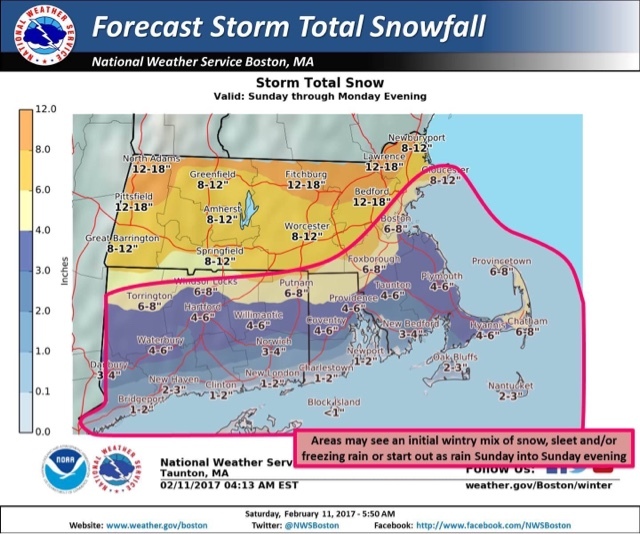 A few days ago our area in MA got 14" of snow, then Friday night 5" more and now this storm predicted to dump 12" to 16" now on the nearly 20" on the ground. I woke this morning 24 hours from flying to Boston (Monday) and my flight has been canceled. Since I had a layover in Baltimore, I decided to change my flight to stay overnight in MD at my son's house there, and join him on his flight to MA on Tuesday AM. This current storm will cause it to snow for many hours as it slows down to form a new low pressure in the lower golf of Maine where it will become very strong storm. As the snow ends, winds will become very strong too. My west coast son I'm staying with had booked different flights due to cost and as I write this Blog his flight has not been canceled even though it is scheduled to arrive within a half hour of mine that was already canceled. We are wondering if he will get there before me or find out in the morning that his flight is canceled. If his is canceled he has less choices than me in arriving for the proceedings Tuesday at 5:00 pm. I do have the same flights back to San Diego with my west coast son on Thursday. I resume my Prius Travels on Friday, if weather doesn't cause more problems.